What can you do to make sure that you improve team success and effectiveness? For an organisation to reliably create high-performance teams, it needs to build team development capability, supported by methods, systems, behaviours and operating practices that support team performance. The WorldsView Academy Collaborative Team System© is a way to reliably develop and support teams in your organisation. An organisational context that supports teamwork and team performance. We address this challenge by providing integrated Team Leader Tools, Team Leader Development and Team Coach Enablement to facilitate teams across the organisation, at all levels, through stages of development and in dealing with specific challenges. We provide team leaders with tools to effectively develop their team. 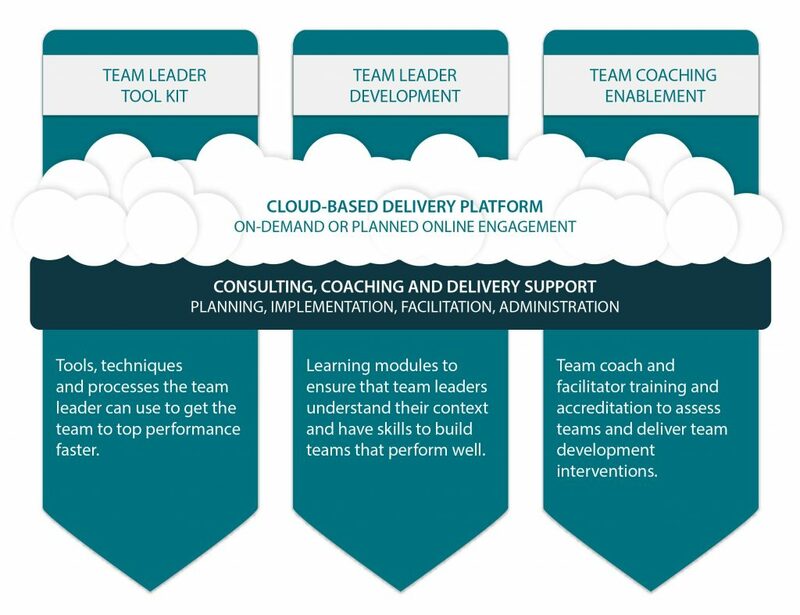 These tools are available on a cloud-based platform, and can be downloaded whenever a team leader needs to improve or ensure high performance by his or her team. We train and develop team leaders to assess team performance, identify team performance issues, and to effectively address them using both the Team leader Toolkit and the services of a team coach. We train and accredit team coaches to guide team leaders, and to facilitate team sessions to resolve team performance challenges.